Football games are big events at colleges, and during the University of Kentucky Wildcats and Louisiana-Lafayette season opener at the newly renovated Commonwealth Stadium last September, all eyes were on another thing on the green: a student’s drone crashed in the middle of the stadium, just moments before kickoff. University spokesman Jay Blanton said in a statement via e-mail that the unmanned aircraft was recovered near the suite level, and that there have been no injuries to the spectators nor damages to the facility, which just underwent a $120 million renovation. He also shared that school officials spoke with the student, and police have been involved. The drone hovered behind the scoreboard over the west end zone of the field as skydivers parachuted in, carrying American flags before kickoff. The drone was in the airspace near the heliports at the nearby UK Chandler Hospital and Baptist Hospital before it crashed into the new press box. This was the second incident in a week that involved a drone. 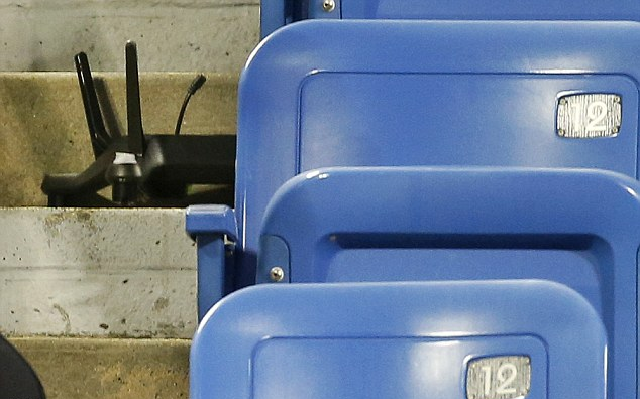 As the unmanned aircraft also recently plummeted into empty seats and caused a scare a few days before, during a women’s singles match at the US Open. 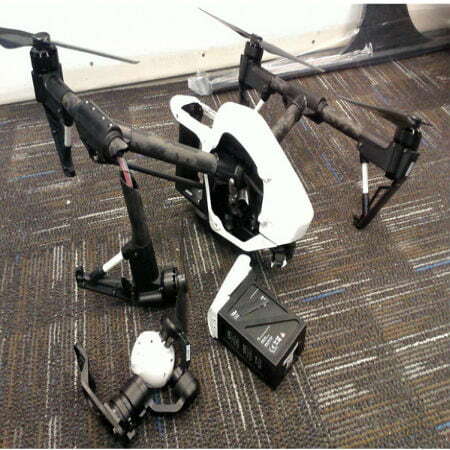 While nobody got hurt, the drone did break into pieces as it crashed. The perpetrator was a high-school science teacher who had been flying the drone from the park outside the venue and had been arrested the day after for reckless endangerment and other charges. However, he did stress that the school had been applying for an exemption to allow limited flights for research and other uses, but there had been no updates. As of January, the application is still pending. The agency, however, has banned the use of drones within three nautical miles of any stadium that holds over 30,000 people from an hour before and another hour after a sporting event. The restriction, which had been in place since 2007, includes reckless endangerment and trespassing as possible criminal charges that could be applied to the drone pilot. Helipads are considered airspace, and the student’s drone was within a half-mile of two, one at the nearby UK Chandler and the other at Baptist Hospital, which are also within walking distance of the stadium. The helipad for UK’s Chandler could even be seen just beyond where the drone hovered. The FAA already put model-plane enthusiasts on notice last October about the regulations on flying aircraft near Major League Baseball, NFL, and NCAA Division I college football games, as well as major auto races. This move came months after the police detained people for using small drones at Carolina Panthers and University of Texas football games. In June 2015, police questioned a man flying a drone near a gate at Citizen’s Bank Park in Philadelphia during the Colorado Rockies–Philadelphia Phillies game.